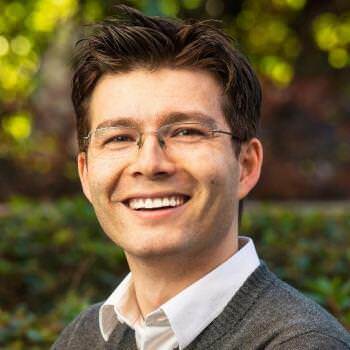 Sergiu Pasca, assistant professor of Psychiatry and Behavioral Sciences at Stanford University, has been named recipient of the 2018 ASCB Early Career Life Scientist Award. The prize is given to outstanding researchers who have served as independent investigators for seven or fewer years. Trained as a medical doctor in Romania, Pasca developed powerful technology to derive self-organizing 3D human brain tissue in vitro starting from pluripotent stem cells. 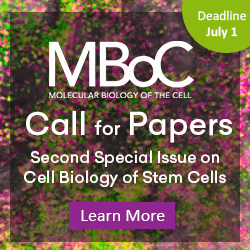 These cultures are also known as neural spheroids or brain-region-specific organoids, and Pasca’s laboratory has demonstrated over the last several years how to guide the specification of 3D tissue-like structures in vitro and elegantly used this platform to ask questions about the cell biology of the human brain. Pasca has shown for the first time that organoids can be put together to form brain assembloids and enable cell migration or long-distance connections and the generation of neural circuits. His lab has also maintained some cultures for the longest times ever reported, going on for hundreds of days, and this feature allowed Pasca to find that the timing of cortical development is maintained in a dish as well. Not only can the brain 3D cultures be used to study the normal human brain, but they can be used to model diseased brains as well. In one study of a monogenic form of autism, his lab found defects in cell migration of GABAergic cells and identified ways to restore normal cell behavior. He and his team are now growing forebrain assembloids from stem cells taken from patients with various forms of neuropsychiatric disorders, including epilepsy, autism, and schizophrenia. Pasca said that this personalized 3D brain tissue platform has the potential to bring molecular biology to psychiatry and holds great potential to offer critical new knowledge to diagnose and treat neuropsychiatric diseases. At the 2018 ASCB|EMBO Meeting in San Diego, Pasca will present the talk “Uncovering the Hidden Cell Biology of the Human Brain” in the Neurodevelopment and Neurodegeneration Minisymposium on Monday, December 10, at 4:35 pm.